One of the most prominent social media platforms, Instagram, released a new feature called Instagram highlights which quickly became widely used across the platform so that users can only select their most important stories and attach them as a memory to their profile for other people to see in the future. In this blog, we will quickly talk about exactly why you should use Instagram highlights for your business in order to grow your business even further, highlight the importance of the feature and give you some tips and tricks on how you can squeeze the most out of this free opportunity. Instagram highlights are the perfect place where you can promote your product or service for longer than 24 hours. This means that it needs to be of an incredibly high-quality and that it tells a story so that the customer can emotionally engage. One of the ways you can do this is by creating a pleasing to the eye theme with a great thumbnail, valuable content and simple title. You need to make the browser of your profile wonder what is behind the thumbnail, therefore, you need to ensure that you put a lot of work into it so that it gets clicks, which then can lead to sales depending on what you are trying to achieve with the highlight. Categorise content for a better user experience. Having an organised and eye-appealing set of highlights is very important for the user experience. People want to find what they need immediately; therefore not being organised can damage your potential. If you are within the fashion industry, you can showcase your different products that are expected for the winter launch or if you are a restaurant, you can show off your best dishes. 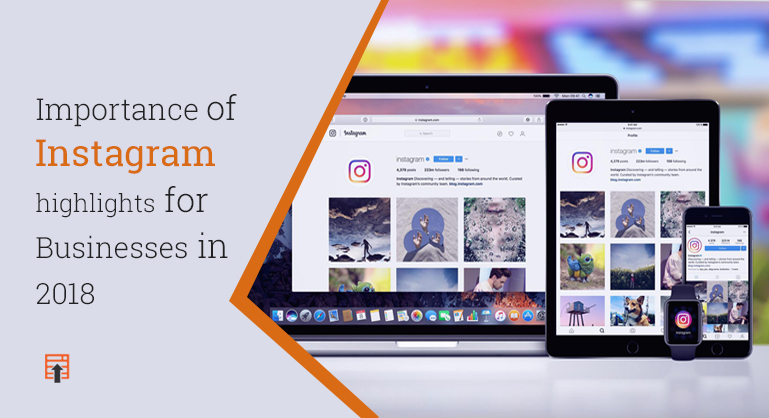 Instagram highlights offer a fantastic opportunity to showcase what you have to offer or build up hype around a product or a service that is coming soon. If you are in the service sector, Instagram highlights are a fantastic way to show the behind the scenes of your operations. They are perfect because you will be able to show your current and potential clients what you are about and ensuring that what you post is of the best quality possible, they will see the value in money in your service which could trigger them to become a long-term client of yours which would mean that you will get more cash coming into the company, which will grow your business to a new level.